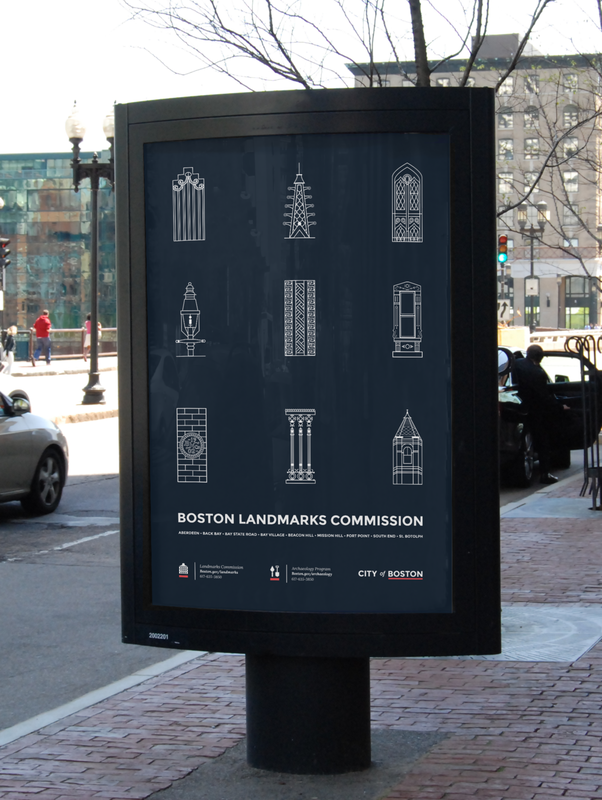 Boston Landmarks Commission asked me to design collateral to celebrate preservation month in may. But it quickly expanded to included social media graphics, posters & tote bag designs. Every bookmark features a detail from the neighborhood it represents. 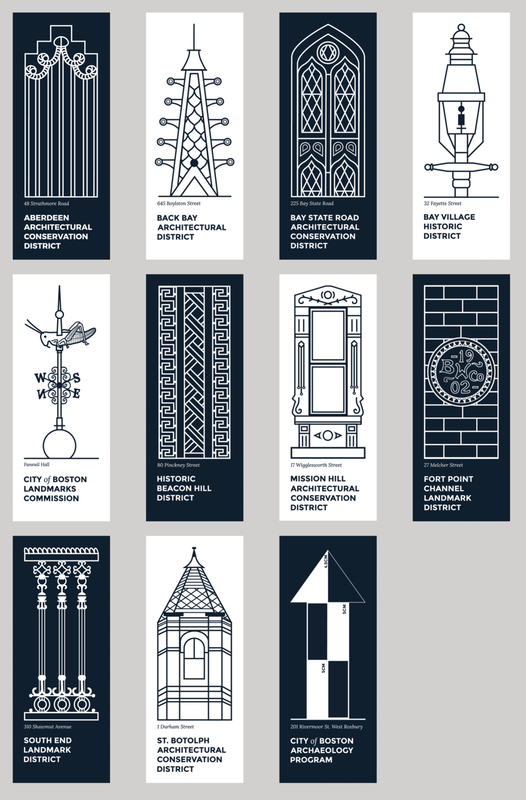 At first the project was centered around the design of 11 bookmarks representing the different neighborhoods in Boston, as well as the archaeology department. Fifty years ago, Boston held an unusual design competition for a new City Hall. Out of 256 entries, the winning design — selected on this day in 1962 — was submitted by an unknown architectural firm, Kallmann, McKinnell, and Knowles. The design intent was an expression of open and progressive city government. City Hall’s site was turned into a modern, 60-acre government center. Boston City Hall is now recognized as among the most important municipal buildings of its kind. It’s also known as an excellent example of “brutalism,” or concrete modernism. With Preservation Month underway, we wanted to help celebrate. 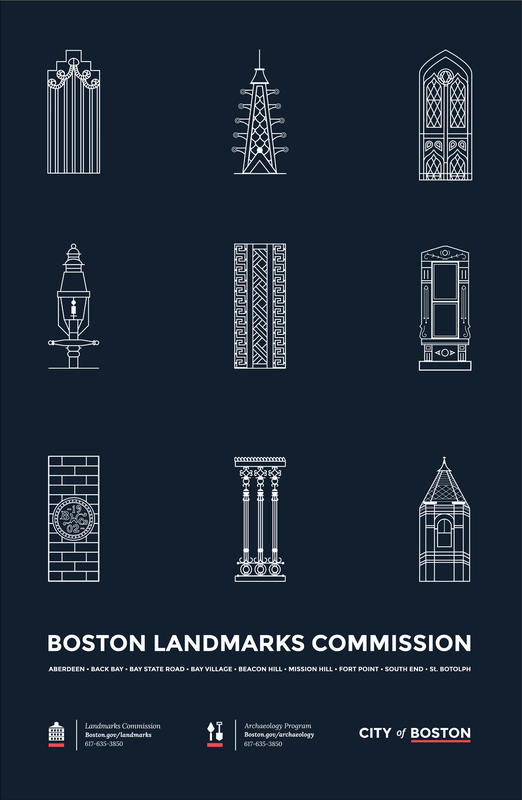 So we worked with the Landmarks Commission to create a new bookmark and pin for City Hall’s 50th birthday.